Who said smart had to be boring? We’re loving this neon lace blazer by Love Label – it’s a hot twist on a classic. 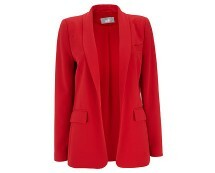 Get ready to unleash your fab fem in this blazer. The classic style gives this cover up a smart fit making it a neat addition to your evening wardrobe. Lovely lace lends this piece a cute vintage look and colour pop is an understatement. Pink neon trims are a hot, playful twist on the masculine style and nod to 80s retro. 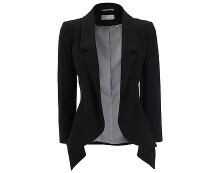 Worn open this blazer is perfect for showing off your cute embellished tops. Make it the focus of your outfit by wearing it with skinny leather trousers and cut out ankle boots. Team it up with the Love Label contrast trim shorts for a chic matching finish.